OVER ONE YEAR HAS PASSED since our seminal article on Acoustic Vibes Music of Tempe AZ. What has Jeff Looker been up to? “I need to order more mandolins”, says he, standing in front of the largest selection of high-end mandolins in North American. Right next to the new Gibson display. His agenda, to the layman, seems to be Buy Buy! BUY! 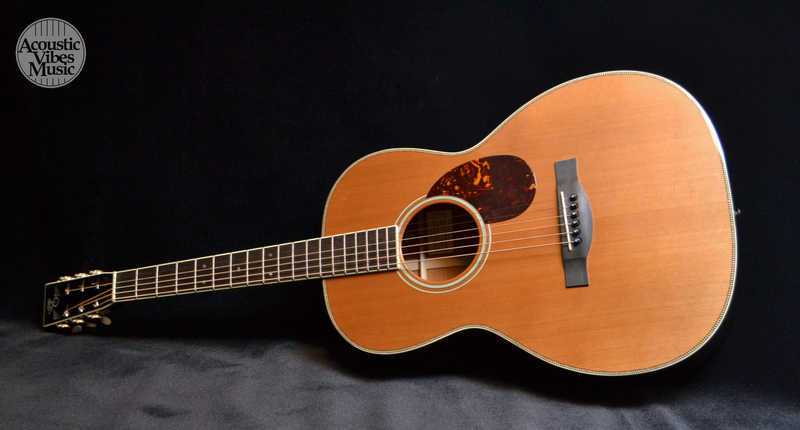 Direct from manufacturers, Jeff Looker continues to purchase the finest acoustic instruments made in America. Supporting smaller shops by giving their product exposure. A steady turnover of production from the larger players. First name basis with all the owners. Familiarity with his competition, which they are not. Not competitors, but friends, mentors, peers, proteges, fellow enthusiasts in the tradition and innovation of American guitarmaking. Where else could one find three custom Collings MT2 mandolins? SIX Martin 000 guitars may be uncommon to stock. Except FIVE of these are from the Martin Custom Shop, special-ordered by Jeff himself. Everything is ordered by Jeff. He’s running the train. It keeps pulling into the station with more and more inventory from American manufacturers. A goal without a plan is a dream. Jeff’s goal is to have the finest acoustic instrument shop in America. What started as an order for six Santa Cruz guitars almost a decade ago has become the best-stocked high-end acoustic guitar shop in the Western Hemisphere. Add in mandolins ∆ and banjos, and you’ve got the premier Destination Music Shop of The Americas. This entry was posted in Craftsman / Artist, Music and tagged acoustic vibes music, Collings MT2, destination music shop, jeff looker, kathryn butler photographer.